The area where Lochboisdale Whisky distillery could be built. 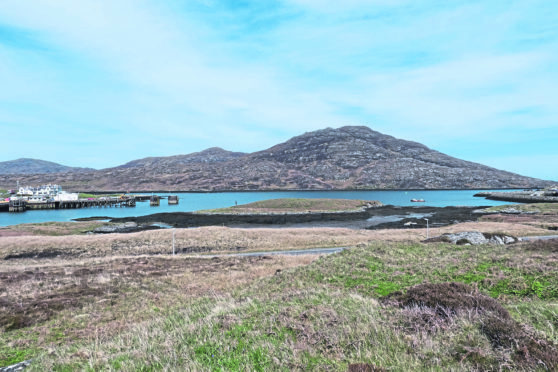 Businesses in the north are being urged to invest in a future in the Western Isles as part of a drive to regenerate the economy of Lochboisdale. Local agencies across the Highlands are re-launching a series of empty commercial units in the village – which have remained vacant for several years – as part of an ambition to make the local community a better place to live, work and visit. A total of nine units are available, varying in size from 430sqft to 1,370sqft, with rents on offer from £60 per week. In an attempt to encourage businesses to the area, organisations from across the Highlands have now come together, 20 years on, to offer a range of discounts and a joined-up support package for potential businesses. Councillor Iain Archie Macneil, for Barra, Vatersay, Eriskay and South Uist, welcomed the drive, saying: “They have lain empty for years. There was a couple that were being used, but the majority of them were empty. The police were also using one and a couple of shops at one time but they all closed. The units were built as part of a phased design and build development in the 90s and 00s with the support of the Hebridean Housing Partnership and Highland and Islands Enterprise – to help regenerate the village and the wider community of Uist – .and were created prior to the £10m harbour development completed by Stòras Uibhist in 2015. A spokesman from Storas Uibhist said: “Stòras Uibhist is proud to be supporting the initiative to revitalise the commercial units in Lochbosidale village. The attraction of new business into the units will bring much needed amenities and employment opportunities to local residents.